Family Choices – An innovative programme aimed at preventing domestic abuse, reducing repeat incidents and the impact of abusive relationships. Family Choices offers support to perpetrators, victims and children. Over the last two quarters 35 perpetrators have been in the programme and there has been an unprecedented outcome of no repeat incidents. IRIS – Identification & Referral To Improve Safety – This is a general practice based domestic violence and abuse training and support referral programme. IRIS is a programme through which staff at GP practices are given training and support which enables them to treat and/or advise patients who are (or who GP or nurse suspects maybe) victims of domestic abuse. NICE in March this year issued guidelines on how health, social care and organisations they work with can respond effectively to domestic violence and abuse. IRIS was launched in August 2013 and is only the 10th such programme in the country. Changing Faces – Helping shape the future for children and young adults is crucial to preventing abuse. BWA’s children and young people’s team have been running for 5 years and in that time have supported over 900 children and young people. Changing Faces is a young perpetrator programme for teenagers aged 11-17 years who have been victims of domestic abuse as a child and are now beginning to display abusive behaviours in their current relationships. The Home Secretary, Theresa May said about Family Choices that: ‘ Here they are having a very real impact’ in reducing repeat incidents. Please see attached coverage of the Theresa May Visit by BBC South Today. Please see attached coverage of the reduction to refuge spaces. 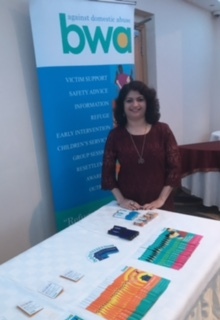 The event took place at Shehnai In Reading and was hosted by Reading Community Learning Centre and Thames Valley Police. 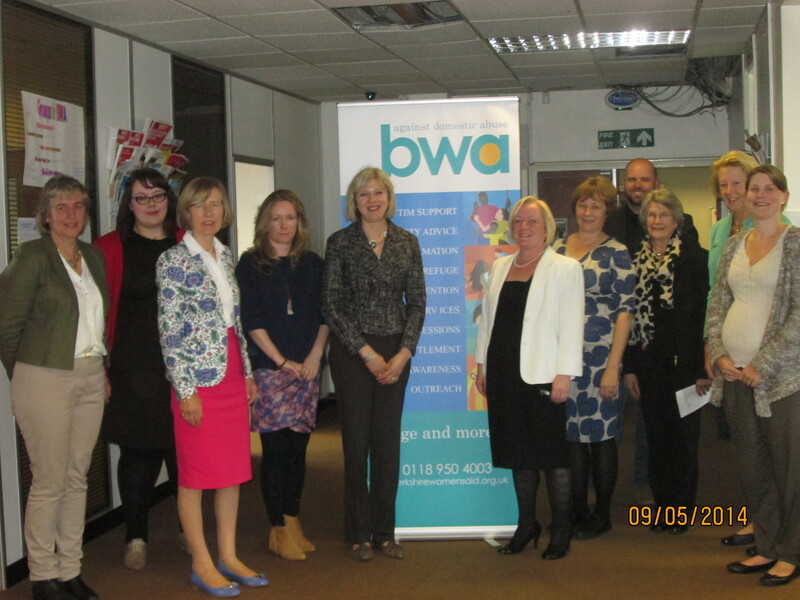 BWA provided an information stall for advice and support to women who attended the event.